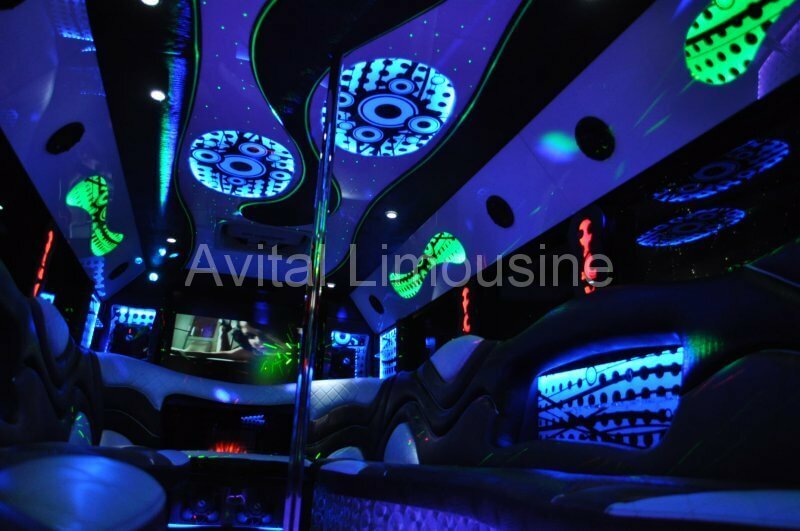 If you are considering renting a limousine or a Chicago Party Bus Services for a near-future event in the Chicago area, you've definitely come to the right place. Some of you have called upon us in the past and are seeking us to take the proverbial reins for yet another event and we thank you for your loyalty and patronage. We hope that we did everything possible to deserve that kind of recognition. Those of you who have found us by an internet search, word of mouth or by seeing this website address on one of our many fine vehicles when it was out on the town, we extend the same friendliness and professionalism that we did to those past clients; in order to bring them back to us. A quick glance at our Fleet Page will show those acquainted with us that we've grown. But, when we cite our growth, we aren't speaking solely on the amount of vehicles that we have. We have continued to find improvements upon every facet of how we do business; living by the 'you can always improve' credo. It is in our tendency to listen that we have found our greatest business tool. It doesn't cost us anything and by keeping track of what our clients tell us and regularly ask, we are easily able to fine-tune our policies and direction to better serve them. The other side of that is that we communicate to you as much as possible, as well. We like our customers to feel comfortable and confident so, we've taken a great deal of time and consideration to put the proper information into this site. We hope that we're able to answer any questions that you may have regarding limousine or party bus rental before you pick up the phone. There are plenty of people out there who are new to renting limos and/or party buses and we sincerely hope that we've done enough to not make the experience seem new. It's our understanding that the majority of those who call upon us for service are doing so for a very special event. (And even if it's just some time away from work - we consider that to be special). Therefore, we feel it is our duty to treat your occasion with the kind of care that we would our own. There is oftentimes enough planning and cost that goes into a planned event in our lives so, we like to do our best to be sure that we are the one area of your planning that is simple and positive. We work to make things easier on you, not harder! There's nothing in the world as luxurious as traveling to your exciting events in one of our world class vehicles. Imagine pulling up to your once-in-a-lifetime wedding in the most elegant vehicle in our fleet, or picking up all your bachelor/bachelorette party friends in the hottest party vehicle in town! It really adds a whole other level of sophistication and class to whatever you've already got going at your event. We can provide comfortable and luxurious transportation services for virtually any event in and around the downtown area, and you can take a look at our service area page to see how far our trips usually extend. If your event is outside of those limits, simply give us a call to see if we can accommodate you. Chances are good that we'll be able to! There is no limit to what we will do to please our customers, so even if you think that your request is too big, such as a large fleet of vehicles to take a massive group of people to a very special event, just get in touch and let us see what we can do. We've handled even the biggest events that our city has hosted, taken everyone from celebrities to politicians to everyday Joes and Janes to them all, and we treat everyone with the same level of respect, making you feel like a king or a queen. No one else puts the customer first like we do, so don't hesitate to give us a call and get your party plans going! If you're seeking a bit more commodious accommodation, we also have a good selection of Party Buses to provide you with roomy and top of the line fun at a great price. Thank You for Visiting Chicago Limousines and for taking the time to browse our website full of information. We hope to talk with you soon! We have a very big fleet so take a few moments to decide which Limousine or Party Bus fits your needs best. Also, be sure to check out our Service Area to see how much further beyond Chicago's city limits we regularly go. And, last but not least, feel free to Contact Us at any time, by phone or email, so that we can see what we can do to meet your particular needs. We'd be thrilled to walk you through all the vehicles that we have to offer, even on an in-person basis if you'd like the grand tour! You can come down to our place of business and we can show you the inner workings of our office and take you through each and every one of our vehicles so that you can choose the right one for your big night out. When you do want to get in touch with us to make your party plans, we'll need just a few key pieces of information from you. We've got a convenient form below where you can fill it all in and request a quote via email, or you can give us a call at 312-626-2811 and tell us everything. We'll need your name, email address, and phone number, as well as the date of your event, the number of passengers you will be traveling with, and what type of event it is that you will be going to. We'll be able to take that information and give you a price quote that will beat anyone else's in the area. You'll know exactly how much it will cost for your big night out, with absolutely no hidden fees or upcharges after the fact. Allow us to provide you with a price quote that will put a smile on your face! We are the top provider of limousines and party buses in the area, because we provide the best service in the industry. Make Chicago Party Bus your #1 trusted transportation partner.